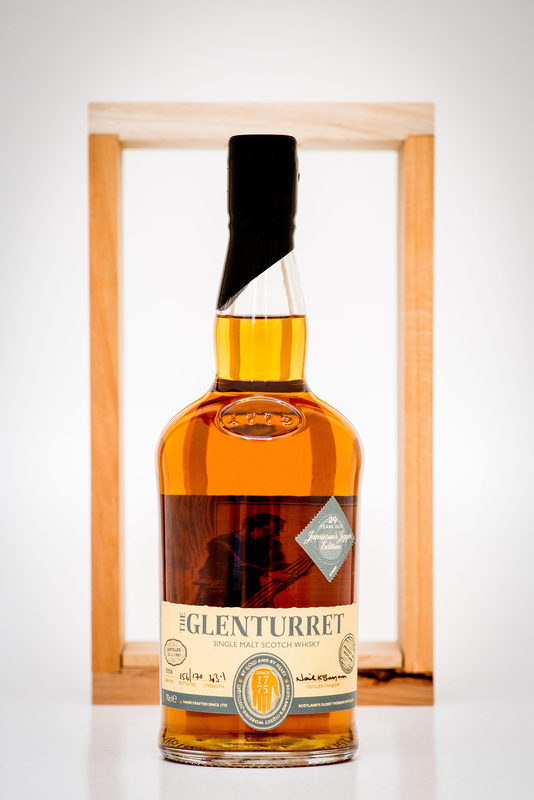 A few days ago I was contacted with regard to an up coming limited release from The Glenturret distillery in order to recognise a long standing and recently retired member off staff.. Michael Jamieson, was a cooper and has worked within the industry for an incredible 44 years. Michael joined the Clyde cooperage aged 15 in 1971 as an apprentice..
Michael describes the five traits of a cooper in his own words.. TALENT. “It’s a skill that takes many years to craft, with a 5-year long apprenticeship to hone their talents of repairing barrels and crafting washbacks by hand. For Michael, his skills as a cooper were passed down from his father. Working alongside each other in the same cooperage, his father helped nurture his craftsmanship up until his retirement. TRADITION. “There’s a whole lot of tradition in coopering, from the traditional tools to the old-aged casks that are lovingly repaired for the next lot of liquid gold. But one tradition still going strong in the cooperage is the unique pass-out tradition. Newly qualified apprentices are officially initiated as a cooper with a slightly messy roll about in one of their creations. “Oh yes, that’s an important part of the passing out,” laughed Michael, remembering his own experiences”. 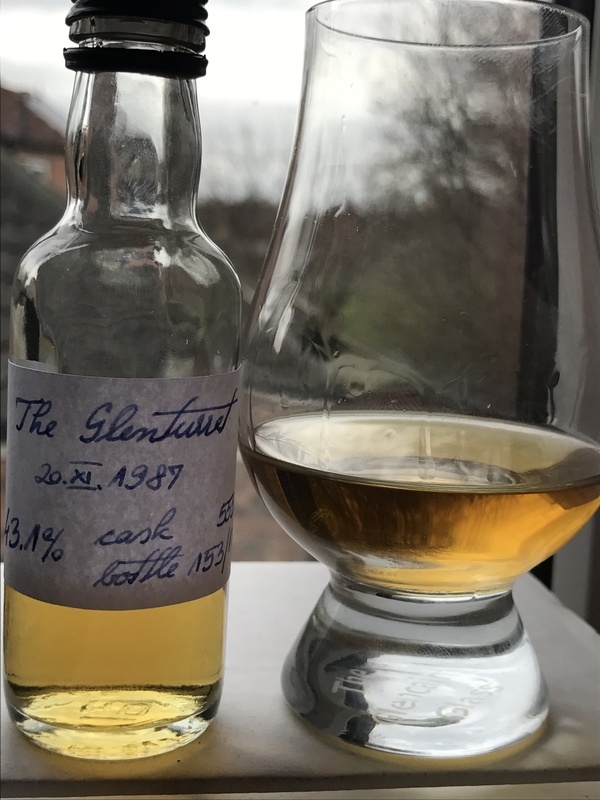 The Information I received regarding this bottle was this is from a single cask #553, Distilled on the 20/11/1987 (29 years old) with an upturn of just 170 bottles and a strength of 43.1%.. Looking at the sample received I will assume no colour has been added and shows off a lovely deep golden straw tint.. Nose.. Quite fruity with gentle oak notes and all wrapped in a gentle spice blanket.. The first thing noticeable is fresh fruits, apple, pear and oranges, a fresh honey aroma comes along on the back of a little caramel and roasted almonds. A gentle cinnamon and ginger note rises through and mingles with that seductive oaky note that rounds the nose off very well. 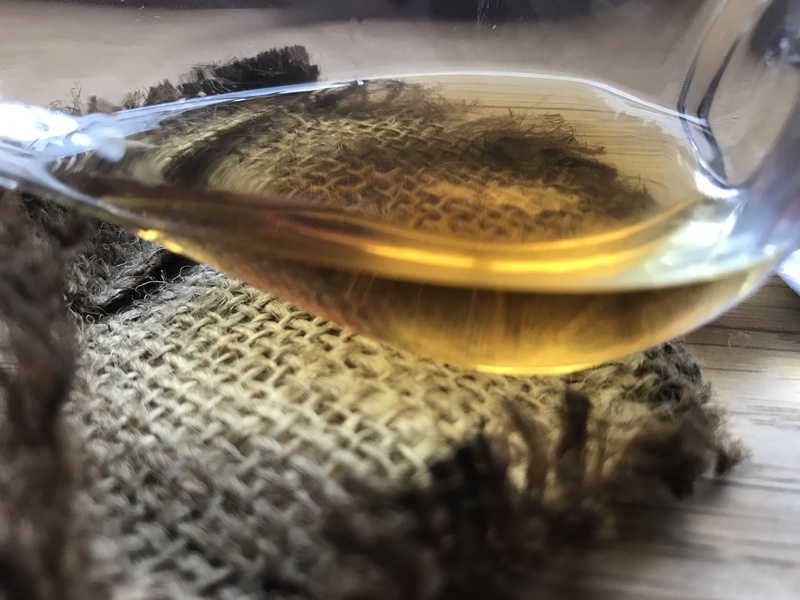 Palate.. A lot more oak and spice than the nose suggests, the ginger and hints of pepper prickle the mouth while the oak coats and prepares you for the delicate fruity notes that try to muscle in.. Honey, toffee and a hint of chocolate fruit and nut bring the flavours to an end. Thoughts.. This is quite a pleasant dram and shows it’s age through the mouth while the nose still feels youthful. The finish is very pleasant and keeps you licking your lips.. There is certainly plenty of complexity to this malt along with great balance. This expression will be released on the 1st of March and the price will be.. Thanks go out to The Glenturret distillery for the official sample. I find this interest my thoughts and would one day like to try. Nice review and nice to read Michael’s five traits of a cooper…raised a few smiles. Hand in hand, a lovely review.